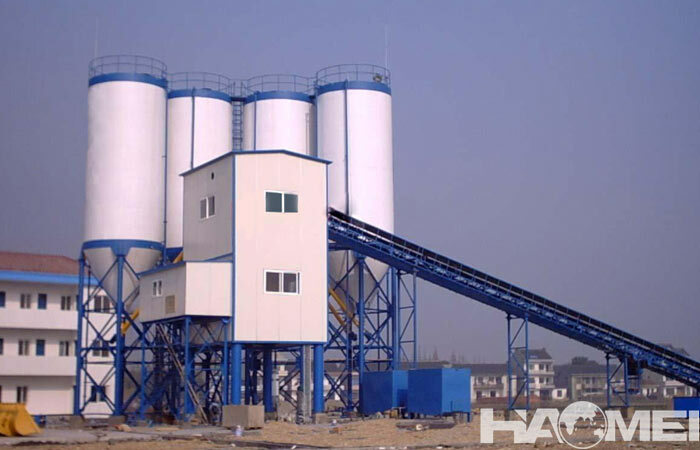 The concrete mixer should be hoisted only installed after the installation, adjustment and measurement of the mixing platform meet the requirements. 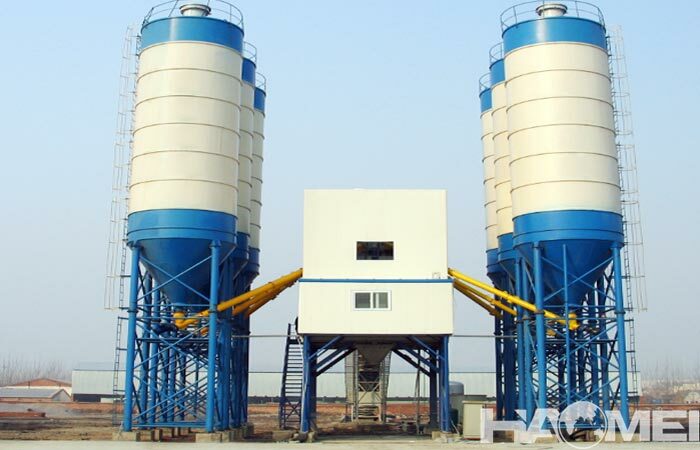 After lifting the concrete mixer on the mixing platform, do not tighten the fastening bolts that are attached to the platform to adjust the position. 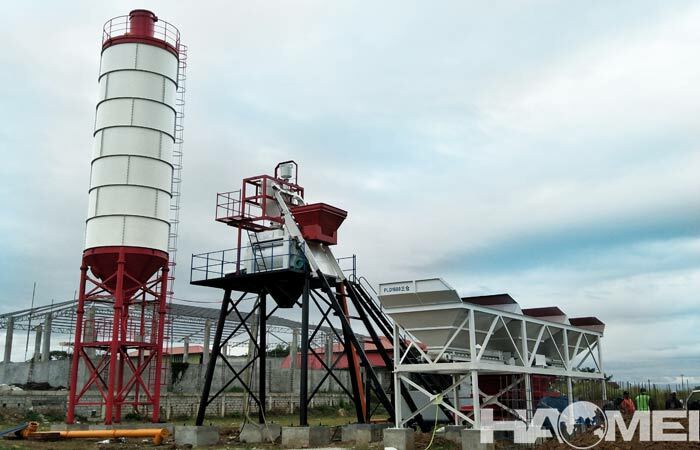 After the aggregate pipe, the powder feeder and the punching pipe in the ready mix concrete batching plant are assembled on the ground, and fixed on the mixer, and then the water discharging pipe is separately installed. After the powder batching device and the water batching system are installed and positioned, the above various soft joints are fixed. 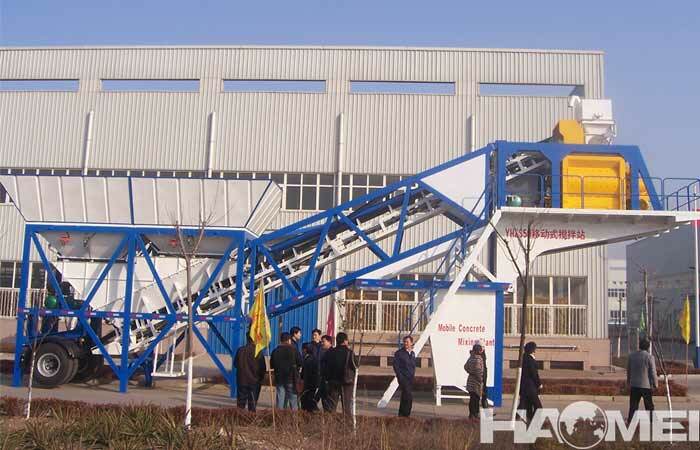 First fix the powder weighing machine, and then connect the powder weighing machine and the unloading device to each other with a dust cover, and install the plastic spring hose and other accessories. After the component group is assembled first, fix it according to the corresponding position of the system pipeline. After the installation, apply 0.7MPa compressed air for 5min pressure test, no air leakage. When installing the air filter, oil mister and electromagnetic valve, be careful not to reverse the direction, that is, install in the order of air filter, oil mister and electromagnetic valve. The installation sequence of the water batching system is bottom valve → clear water centrifugal pump → check valve → water pipe → water storage tank → fine valve. After installation, the pressure test shall be carried out at a pressure of 0.7 MPa for 5 minutes without leakage. When installing the pipeline, it is necessary to ensure that the pipeline discharge has at least 45% inclined section to ensure the accuracy of the batching. When installing the pipeline, try to avoid turning, use the raw tape seal to prevent leakage at each joint, and carry out the withstand voltage test with a pressure of 0.7 MPa for 5 min, no leakage. Install each roller set and reversing roller in the frame, then install the belt. When installing the belt, first adjust the reversing roller to the front, make the belt tensioned properly, and the joint should be firmly glued. On the ground, the bucket is suspended from the lower part of the silo. After the aggregate silo is installed and positioned, adjust the screw at the point of the bucket to make the scale horizontal, and then replace the sensor suspension. 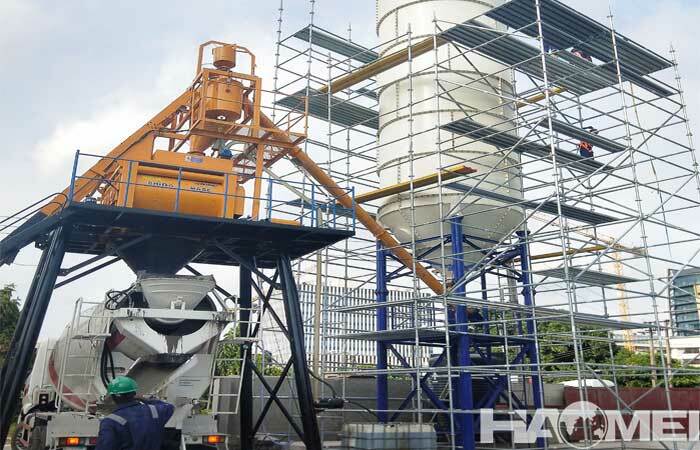 When installing the batching plant for ready mixed concrete, it must be carried out according to the above assembly sequence, and a section should be installed, and a section of the measurement should be tested. Before the previous section is measured, inspected and adjusted, the next section must not be installed.